carved in a long slender form with a pair of reclining deer flanking a spray of lingzhi before a pierced rocky outcrop -- 7½in. (19cm.) wide, wood stand. For similar examples, see Xue, Zhongguo Yuqi Shangjian, no. 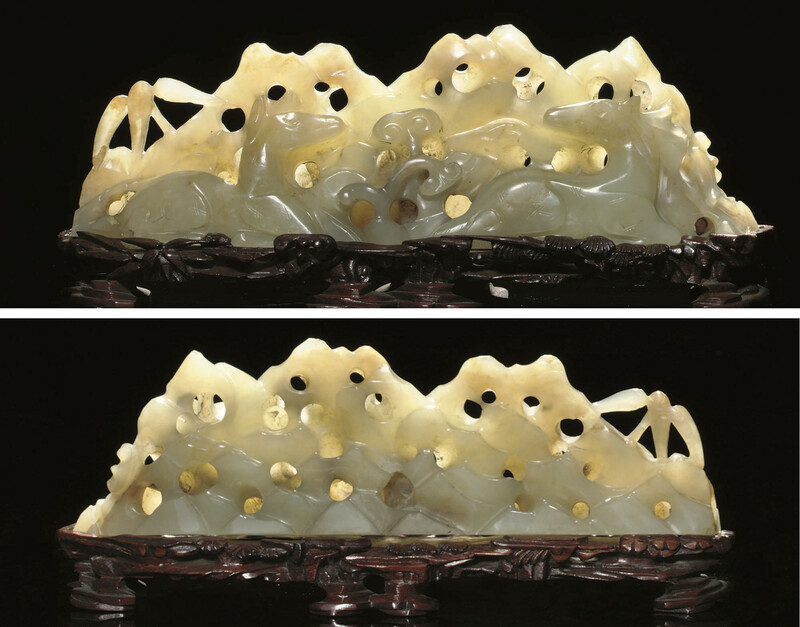 674, p. 354; and Yu, Gems of Beijing Cultural Relics Series: Jades, no. 178, p.164.